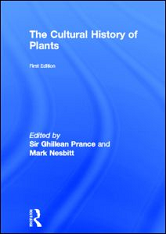 Includes plant entries in the form of concise histories, maps, and black and white illustrations. The A to Z entries cover food and flowering plants as well as those used for textiles, perfume and drugs, and include bibliographic information. Appendices include lists of protected species, plant collection sites, a glossary and a chronology of plant migration.